I love a good playlist! Like legit, you can find me lurking on playlists on Spotify all of the time. It's so easy to just have one playing while I'm doing anything. So I thought, lemme put together a little playlist of some fire songs that have been getting me through this ridiculously hot summer. 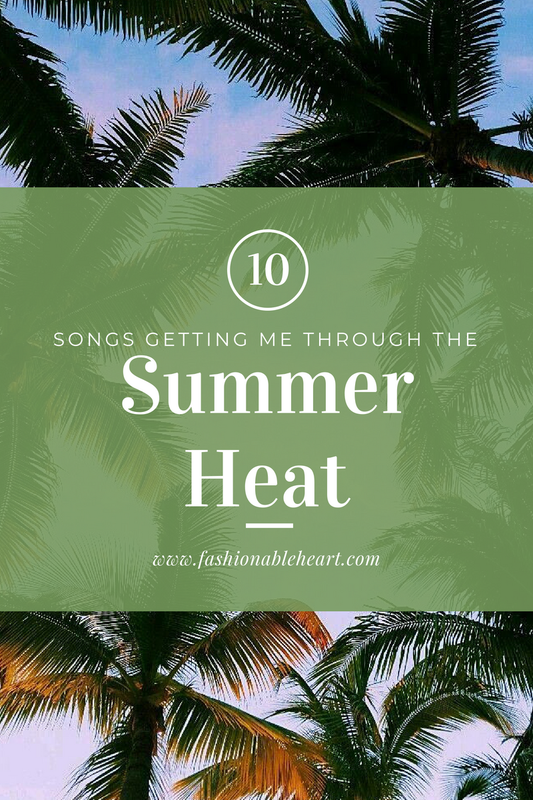 Enter my Summer Heat playlist! I could have added a lot more (especially retro, because I'm a 70s music gal a LOT of the time), but I reined myself in and limited it to 10. But now that I think about it, I might just do a throwback summer playlist too. That could be fun to share, if any of you are into that! For now, all of the tracks below are current. But I hope maybe one or two might be new to you. At least, Jessie Reyez. She's an up and coming Canadian musician. Please give her a music a listen, because she is going places with that soulful voice! Amy Winehouse vibes, for sure. If you feel so inclined (and I hope you do), let me know a song or two that you've been jamming to this summer!